Now that you’re in college, you’ll need your own computer. 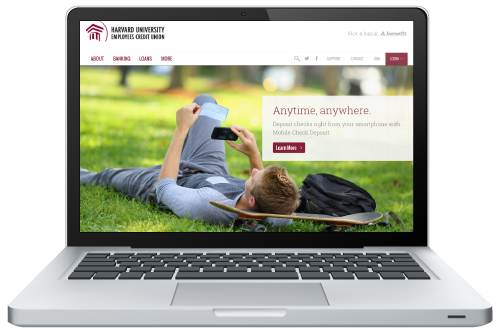 With the College Life Account, you get access to low-rate loans toward the purchase of computer hardware, including printers and monitors, as well as software, accessories and other devices. Just bring in an estimate or receipt of purchase to any of our branch locations to apply for your loan. *Annual Percentage Rate. Rates and terms are subject to change without notice. Loan Example: $1,500.00 loan at 5.99% for 24 months: monthly payment $66.48; total finance charge $95.49; total repayment $1,595.49.